Closing Civic Spaces In Nigeria | Special Anti-Robbery Squad (SARS) Arrests Journalist Over Article. 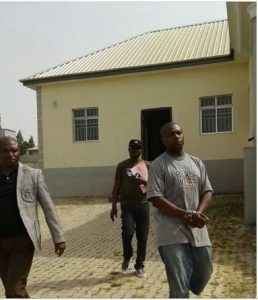 Tim Elombah, the Editor of Elombah.com an online newspapers was arrested by the Special Anti-Robbery Squad (SARS) along with the Publisher of the newspaper, Daniel Elombah and their younger brother Izuchukwu Elombah. It is alleged that the Elombah brothers were arrested for an opinion article titled “ IGP Ibrahim Idris’s Unending Baggage of Controversies” written by one Eboiwei Dickson, that was published on another website – opinion Nigeria – which the Inspector General of Police, Ibrahim Idris found offensive.